Two people have written to me this week about pricing on pro-packs. I figured that if two people actually bothered to email me, then it’s probably worth writing about here! A brick of JCH Street Pan 400 – sorry for the small size, this was the only photo I had handy. I don’t have many pro-packs listed on the store, but I do carry them. I should probably add them specifically, but how it works right now is that if you order 5 individual rolls of a film that comes in a pro-pack, I will just send you a pro-pack. Someone asked me whether there’s a price break for pro-packs, and unfortunately, the answer is no. 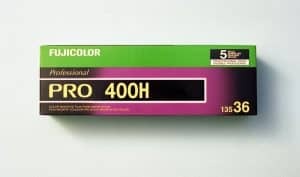 There’s no real price break as to whether film sellers like me buy single rolls or pro-packs from the manufacturer, and that’s why if you check any online store, the price of a pro-pack is almost always the same as 5 individual rolls. There is one exception to this – I’ve seen places online that do have a discount for a pro-pack, but what’s really happening is that they’re just kind of charging a bit more markup for a single roll – this isn’t common though, and mostly happens with big camera store chains that only kind of carry a couple of types of film begrudgingly. Kodak Portra is mostly just sold in pro-packs. This is why if you buy a single roll anywhere, it just comes in the little plastic container (or the foil container in the case of 120 format). But wait! For some reason, specifically Portra 800 in 35mm format comes in a nice little individual box. It still comes in pro-packs for the 120 size though, which is confusing. 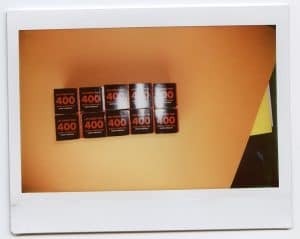 Kodak Ektar 100 is sold in pro-packs if you get the 120 size, but as far as the 35mm size goes, it just comes in individual boxes, which are packaged in bricks of 10. When it comes to B&W film, Kodak are a bit less confusing: Both Tri-X and T-Max are sold as pro-packs in 120 format, but comes in individual boxes in 35mm format. I still haven’t quite figured out the reasoning behind what Kodak chooses to package as a pro-pack vs. an individual roll, but I imagine that it’s probably based on whether people are more likely to buy a single roll vs. an entire pack. For instance, Portra 800 is a premium film and costs more than Portra 400, so it makes sense people might buy it in smaller quantities. Although I’m not sure if this really extends to Ektar, since in my experience from running this store, people tend to buy multiple rolls of Ektar, I guess because it’s relatively cheap for such a nice, high quality film. I guess I’ll never really know why it’s done this way. Or maybe someone will probably comment on this post with an extremely obvious, logical answer within 10 minutes of me posting this, and then I’ll know haha.